They say that there is strength in numbers, which may explain why wine cooperatives tend to emerge during periods of crisis, when individual winegrowers are practically powerless to defend themselves and only collective action holds hope. The cooperative in Caramany, the Vignerons de Caramany, was founded in 1924 in response to the Phylloxera crisis. It experienced ups and downs in the century that followed and seems to be thriving today — a good sign for Caramany and for French cooperatives generally. Caramany is a village of 150 inhabitants in the Pyrénées-Orientales scenic L’Agly valley in Roussillon. It has its own appellation: Côtes du Roussillon Village Caramany. The cooperative has 50 members, some of them quite small holders, growing mainly Carignan, Grenache and Syrah. We were in Caramany to learn about its cooperative and its wines during our recent press tour to Languedoc, Roussillon, and the Loire Valley. Cooperatives were on our radar because they are very important in all these regions as they are in Europe generally. Cooperatives produce about 70% of all wine in Languedoc, for example, making their success critically important to the wine industry. You sometimes have to look closely at a wine label to know that a cooperative has made the wine — seeing Caves Coopérative for a French wine or Cantina Sociale Cooperativa for an Italian one is a sure indicator, but sometimes the link isn’t clear, especially if the wine is sold through a negociant or, as is increasingly the case, made for a private label customer such as a supermarket. According to the latest edition of the Oxford Companion to Wine, cooperatives probably account for more than half of all the wine produced in the big three Old World wine countries: France, Italy, and Spain. These “invisible wineries,” as I have called them, are one of the most under-appreciated elements of the global wine market despite the commercial success of some of the wines. One of the top-selling Prosecco wines on today’s market — La Marca — is produced by a second-level cooperative — a cooperative of cooperatives. Some Italian cooperatives — I am thinking Alto Adige and Piemonte in particular — are know for their high quality. But cooperatives in the south of France have the opposite reputation, which they continue to battle to change. It is easier to produce new, better wines that a new reputation. The Vignerons of Caramany impressed us with their commitment to making delicious, market-friendly wines, which we sampled while eating a Catalan barbeque lunch that included snails grilled over live coals, grilled meats (including delicious blood sausage), and a variety of salads. One wine (see top photo) was a tribute to the past, but others looked to the future. The Reserve Rouge Carmin, for example, is a blend of Grenache, Syrah, and Carignan (the Carignan was vinified with carbonic maceration while the Grenache and Syrah use conventional methods) that was one of my favorites. Delicious with the food we were served and impressive generally. Its packaging is modern and appealing and it sells for a premium price — about 8 to 10 euro, as I recall, which is impressive for a wine from this region. There were wines from other cooperatives at the lunch and they were also noteworthy. The Rivesaltes Ambré from the Vignerons de Trémoine is a terrific sweet wine that I could sip all day. So what has changed to make these cooperatives (and many others that we learned about) so different from the stereotype of sleepy, inefficient (and sometimes not very clean) cooperative cellars? Well, it isn’t that the cooperatives have simply become stronger — more strength through more numbers — because that’s not the recent trend. Cooperatives seem to be under attack to a certain extent, with the next generation of winegrowers looking beyond old practices to new market opportunities. An association of independent producers has been formed in Languedoc, providing a different sort of strength in numbers through collective marketing not production investment. Some of the new independent projects are inspired, I was told, by Department 66, a wine project initiated by Dave Phinney and located in the Maury appellation of Roussillon. Its Grenache, Syrah, Carignan blend D66 wine sells for $38, which is a super-premium price for this region. A special old vines Grenache-Syrah blend received a 95-point score from Robert Parker and retails for $175. That would sure get my attention. More than anything I think it has been competition that has stirred French cooperatives to raise their game — competition in the retail market and also competition between and among the cooperatives for the declining group of potential grower-members. Competition is disruptive but has obviously been a good thing and the results are clear when you consider the achievements of a relatively small cooperative in a tiny appellation such as the Vignerons de Caramany. If other cooperatives are moving in the same direction as the ones we learned about on this trip. then the future of the “invisible wineries” is bright. Thanks to everyone we met on our trip to France and to the wine regions of Languedoc, Roussillon, and the Loire for hosting us. They say that you shouldn’t judge a book by its cover and I think this applies to wineries, too. We visited Adega de Borba as part of a brief tour of wineries active in the Alentejo vine and wine sustainability program and found ourselves led astray by our first impressions. Adega de Borba is a cooperative winery founded in 1955 and was a pioneer at the time. All the economic incentives in those days were stacked against wine and in favor of grain production in this part of Portugal in those days. It took some effort and determination to nurture and expand wine production here. At first glance the original 12,000 square meter facility was what I expected from a “mid-century modern” winery, but on closer inspection I began to realize that this was both more and different than it seemed. More because the winery is a surprisingly large operation. The 300 members together farm 2000 hectares of vineyards and the winery produces over 15 million bottles a year. And different because while the winery dates from mid-century, the ideas are not frozen in time. Looking closely, we saw that everything was meticulously clean and well-maintained as it should be but so often is not in the case of “vintage” production facilities. And the answers to our questions about economic incentives were the right ones, too. Do the members have to sell their grapes to the cooperative, or are they allowed to hold back some (usually the best ones)? No, they must sell to us. How are they paid? By weight, of course, but with substantial adjustments plus and minus based upon objective measures of quality. Are the premiums enough to motivate a movement to quality? Yes, they are very high for the finest grapes. The large scale is important because wine in Portugal is low-priced by U.S. standards and price pressure is increasingly intense. Consumers who bought €3 wine (that’s where the mass market is here) before the global financial crisis are spending €2 instead and margins for exports to some markets can be low as well. So efficient production is key as well as quality that will allow sales in the higher-price categories. Former Portuguese colonies Angola and Brazil have been the largest export markets for Alentenjo wines in past years, but both are going through difficult times at the moment (especially Angola with its dependence on petroleum export income), so attention is shifting to other markets such as the U.S., Canada, and Switzerland, which demand higher quality, and Russia and China, where low price is a powerful factor. Adega de Borda has moved in both directions. The Rótulo de Cortiça wines, which are easy to spot because the label is printed on a thin sheet of real cork (cortiça in Portuguese), are a good case in point. The winery sells about a million bottles of this wine each year at the astounding (for Portugal) price of €9 and even more for the reserve bottling. That €9 price won’t seem like much to my Napa Valley friends, but it is a stunning achievement for this volume of wine in the context of the Portuguese market and is only possible because of the care and attention that goes into every stage of the process. But this doesn’t explain how Adega de Borba is able to compete in markets where margins are razor thin and competition from other producers and other wine regions fierce. To understand that we had to walk up a gentle hillside to the biggest surprise of the day, a stunning 140,000 square meter state-of-the-art production and storage facility that was completed in 2011 at a cost of €12 million. A system of underground pipes connects the new winery with the old one down the hill so that the wines can be bottled there. Everything is big about the new facility from its crushing capacity (1200 metric tons of grapes a day) to the fermentation and storage capabilities. But it is the technical efficiency that it creates that is most impressive since it allows both volume and margin-boosting quality to co-exist. I said at the start that you shouldn’t judge a book by its cover, but this big modern building might be an exception to that rule because the exterior of the new building gives away something of its high-tech interior. It is blistering hot in this region in the summer, so the building is clad in white ceramic tiles to reflect the sun with horizontal rows of white marble from a nearby quarry that, a bit like radiator fins, provide a certain amount of natural heat control as well. Very cool (pun intended) and not necessarily what you would expect from a wine cooperative. We came to Adega de Borba because it has embraced the Alentejo region’s sustainability initiative, but it is easy to see that this is part of an overall approach to wine growing and production, with attention to every detail and eyes firmly set on horizon. Cooperatives tend to struggle when they get the incentives wrong, fail to note changing market environments, and hesitate to invest for the future. Adega de Borba shows us how wine cooperatives must think and act to be relevant and successful in today’s markets. It is how all wine enterprises must think and act. As you probably guessed, this column’s title was inspired by the Gilbert & Sullivan tune from Pirates of Penzance. Enjoy. Sue and I recently returned from historic Évora, Portugal where I am spoke at the 10th Alentejo Vine and Wine Symposium. We spent about a week in the Alentejo wine region and learned a lot. This is the first of a short series of columns loosely organized around the theme of the disruptive intersection of old and new which I have found in many corners of the wine world, but none more clearly than Alentejo. The map gives you an idea of Alentejo’s location. Évora is about an hour east of Lisbon and give hours south of the Douro Valley. Portuguese leaders once thought that this region would be Europe’s grainery (more Kansas than Lodi, I suppose), but the landscape we saw was more pastures dotted with cork trees and vineyards, some of which are quite large by Portuguese standards. I think of Alentejo as the Portugal’s Lodi for several reasons. The first is the summer heat, which reaches up to 40 or 45 degrees Centigrade (100 to 110 Fahrenheit) or even higher in July. Difficult to grow high quality wine grapes in such baking heat. But, as markets shift, both regions feel the need to increase quality and so producers are pushing hard. And both regions are implementing important sustainability initiatives that are part of their new identities. They both produce quite a lot of wine, too. Alentejo accounts for more than 40 percent of the wine consumed in Portugal. But the market is changing and the region must adjust and evolve. The domestic market has not fully recovered from the global financial crisis and price pressure is extreme, especially in the lower price tiers. At the same time, the traditional export markets — especially former Portuguese colonies Angola (#1 on the export list) and Brazil — are struggling. Alentejo is drawing strength from its past in this transition and from new ideas and initiatives, too. The sense of history is never far below the surface here. Évora is a Unesco World Heritage site, for example, with Roman ruins around every corner. The Romans made wine in this region and the big clay pots they employed are inspiring today’s winemakers (watch for a future column on this). Portugal was once part of the Arab world (“Portugal,” we were told, means “orange” in Arabic and this was not hard to believe with orange trees everywhere). The name Alentejo itself reflects this history. Alentejo comes from Al Entejo (just as mathematic’s algebra was originally al gebra). Old practices and a wealth of indigenous grape varieties are more than living history — they form building blocks, but bold initiative is needed for glue. The next three columns will explore this dynamic. First I will introduce you to Adega de Borba, a big cooperative winery that is moving decisively into the future. Then I will take you into the world of cork by visiting Amorim cork’s processing plant in Alentejo and its high tech labs and production facilities in the north. Finally, we will go back in time to the wines made in big clay pots when we meet with winemaker Domingos Soares Franco at José Maria da Fonseca‘s José de Sousa winery. One of the highlights of the conference was a dinner that featured a group of men who sang the famous Cante Alentejano that is unique to this region. It was a moving experience to hear the singing that turned to pure joy when we learned that the singers were winegrowers — members of the Vidigueira cooperative. And to top it off, we were drinking their excellent wines. What an experience! If, as I suggested in my last post, there are “invisible” wines, then it makes sense that there are also invisible wineries. Here in the U.S. for example we are accustomed to”virtual” wineries that are invisible in the physical sense. They frequently exist as brands in the portfolios of larger wine companies, but have no distinct location or particular terroir. The wines are often sourced from many regions, wherever the price-quality mix is right, and the blends are determined by supply and demand. Some virtual wineries become durable brands, but most are like ghosts — they appear and disappear as wine buying trends or market opportunities change. Virtual wineries are an interesting phenomenon but they’re not what I want to discuss here. The invisible wineries that concern me are Europe’s cooperative wine producers. The Oxford Companion to Wine (2005) gives a sense of the importance of European cooperatives as a production sector. Here are excerpts. The numbers will be different today, of course; probably lower because of the effects of the EU reforms, but that’s still a lot of wine. Since France, Italy, Spain Portugal and Germany together account for roughly half of total world wine production and all of these countries have substantial cooperative sectors, I estimate that as much as a quarter of the global glass is filled by wine made by cooperatives, an incredible amount given how little attention these producers usually receive (that’s the invisibility part). One reason cooperatives are often overlooked is the “high quantity, low quality” stereotype that they wear like a Harry Potter invisibility cloak. No one much wants to think or talk about mediocre wine when excellent wine is so much more interesting. 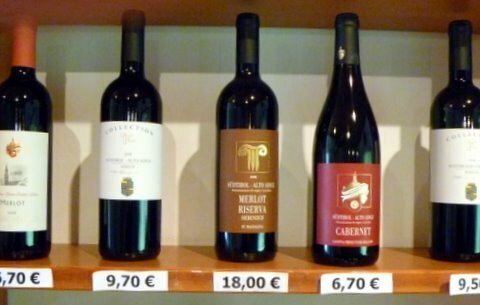 The stereotype that cooperative wines are cheap plonk can be blamed in part on the relatively few cooperatives that have established “visible” brands that define the category. There are cooperatives that achieve real excellence (watch for my next post), but most people are likely to think of Tavernello or Riunite when they think of cooperatives, not Cantina Sociale dei Produttori del Barbaresco, for example. Italy’s best selling brand, the ubiquitous Tavernello, is a product of the Caviro cooperative. In the United States the most famous branded cooperative wine is probably the product of Cantina Sociale Riunite. That’s right, the sweetish fizzy Lambrusco that was for many years the best selling Italian wine in the country: Reunite on ice. So nice! So the stereotype is understandable, but it is also unfair (as stereotypes tend to be). In fact, taking the long view, it is important to appreciate that cooperatives as a group actually improved wine and wine-making throughout Europe. The cooperative wineries that appeared in the first three decades of the 20th century represented a vast improvement over the cellars they replaced. Collective investment (plus government subsidies and easy farm credit terms) allowed the purchase of newer and better equipment and facilities overseen by trained professional wine-making staff. Individual winegrowers farming a hectare of two of grapes could never have produced commercial quantities of wine at the standard of the new cooperatives. No doubt about it, in their heyday cooperatives were a step up in wine quality. But the cooperative form of business organization also created incentive problems. In many cases the cooperatives were compelled (by agreement or custom) to purchase whatever grapes that their members presented. When they could, members would often retain the best grapes for their own private production and turn the rest over to the cooperative. When many members did this, the quality of the collective wine necessarily fell along with its probably market price. This increased the incentive to keep the best grapes in house and to deliver masses of low quality grapes to the cooperative. It was a race to the bottom that ended for many wineries with wine so foul its only buyer was the “buyer of last resort” — the government-subsidized “crisis” distillery. This made the cooperatives even more invisible, as Tim Atkins has noted. “If co-operatives were to disappear tomorrow — and there are plenty of people who wish they would — so would Europe’s wine surplus.” Like the people on Ko-Ko’s little list in the Mikado, they’d none of them be missed. You can’t get more invisible than that! The stereotype of cooperative wines is very depressing but, as Atkins also notes, it is a mistake to define any group by its least attractive member. Some of the best wine in Europe is made by cooperatives and I was fortunate to taste some of it during our recent visit to Italy. What makes these cooperatives different? (And can other wineries copy their formula for success?) Good questions. Look for answers in the next Wine Economist post. I have three books to recommend if you are interested in the history of European wine cooperatives. The Red & The White: The History of Wine in France and Italy in the Nineteenth Century by Leo A. Loubére (1978), The Wine Revolution in France: The Twentieth Century also by Loubére (1990) and Vintages and Traditions: An Ethnohistory of Southwest French Wine Cooperatives by Robert C. Ulin (1996). The Red & The White is one of my very favorite wine books. My previous blog entry (see below) presented a paradox. Fair Trade wine might be an effective “ethical consumption” good, I speculated, because wine is one of the few products where consumers routinely know something about production conditions (the who, what, where, when, how and why) and so might be motivated by ethical considerations, such as the equity of grower payments or environmental impacts. But Fair Trade programs are typically organized through grower cooperatives and coops have a famously bad reputation for quality (see previous blog entry for details). So the paradox is that while wine might be an ideal Fair Trade product from the consumer standpoint, the cooperative production model dooms it to failure because of low production quality. Sad, if true. But is it? It is time that we reconsidered wine cooperatives because the old stereotypes do not always hold. From a statistical standpoint, cooperatives are far more important than most of us suspect. My guess is that more of the world’s wine is made by cooperatives than by the all the huge multinational wine corporations put together. The Oxford Companion to Wine reports that over half of all French wine production is by cooperatives (caves coopératives). About two-thirds of German growers are coop (winzeverein) members. Italian cooperatives (cantina sociale — see the vintage wine poster above) are responsible for as much as 60% of total national output. Similar high proportions are reported for Spain and Portugal. That’s a lot of wine! 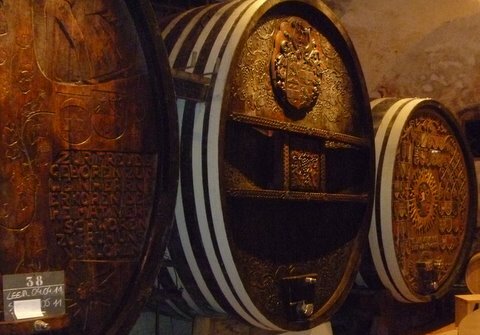 Since France, Italy and Spain are the largest wine producers by various measures, it follows that a huge proportion ( perhaps 25% to 30%) of the world’s wine comes from cooperative cellars. Gallo, by comparison, accounts for about three percent of world production, if the calculations I made a few years ago are correct. Within this huge puddle of coop wine there is great diversity. Certainly there is a lot of bad or mediocre wine. Reunite, the Italian cooperative famous for its sweet Lambrusco, is an easy target if only because it is so large and ubiquitous. 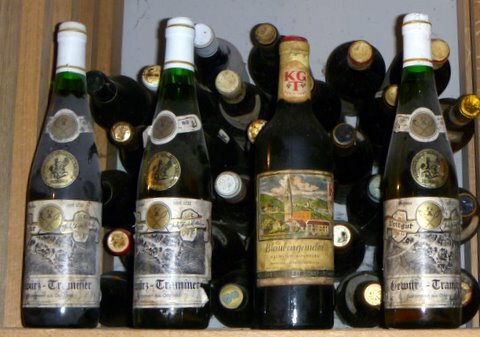 Some people say that Reunite destroyed the reputation of Italian wine in the United States in the 1970s with its low quality offerings. But there are a lot of well-made cooperative products, too. A recent supplement to Decanter magazine, for example, highlighted a number of very successful Italian cooperatives, including San Michele Appiano and Cantina Terlano in Alto Adige and Produttori del Barbaresco in Piedmont. These cooperative make some of the finest wines in Italy, consistently receiving top marks (three glasses) from Gambero Rosso. So why do some cooperatives produce fine wine and others make plonk — and which kind of wine will Fair Trade coops make? There is no simple answer to this question because there are several different motives that drive cooperatives with correspondingly different results. Sad to say, some European cooperatives find themselves organized around national and EU regulations that have until recently given special benefits to cooperatives. These are subsidy cooperatives and they have had little incentive to quality produce wine because they have been insulated from market forces. 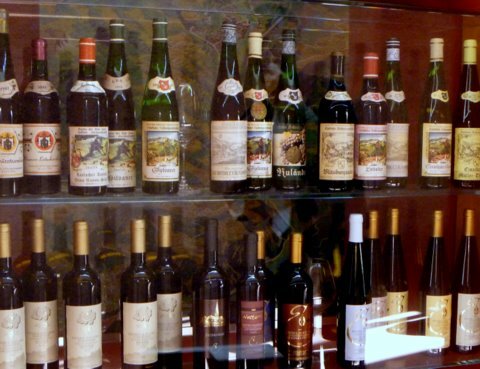 Changes in EU wine rules should put these cooperatives on the endangered species list. Then there the political cooperatives. Many of the coops organized in the 1920s and 1930s were motivated more or less by socialist or communist political ideologies. Their desire to earn short run revenue, and to share it equitably, often conflicts with the long run need to protect quality and develop markets. If solidarity requires that no member’s grapes be turned away, no matter how poor their condition, how can good wine result? Market forces are forcing the political cooperatives to upgrade their standards, however. Payments are generally no longer based on tonnage alone. Now ripeness (potential alcohol) and other factors are also considered in many cases. It is a necessary step in the right direction. Finally, there is a group that you might call the efficiency cooperatives. They are motivated by fundamental market factors rather than subsidies or grower solidarity. This is a diverse group of winegrowers who share resources in order to be able to afford costly up-to-date technology, the services of skilled winemakers (including the controversial flying winemakers) and even marketing expertise. The best of these wineries, like Produttori del Barbaresco, have created valuable brands that must be protected at all costs. Quality wine is the objective, cooperation is mainly the means that allows small individual growers to reap some of the advantages of a large scale operation. So what kind of wine will Fair Trade cooperatives produce? The answer is that some of it will likely be very good, as I have reported earlier. But just as there is no reason to believe that all cooperative wine will be bad, there is nothing to say that all Fair Trade cooperative wine will be good. It will depend upon the motives and actions of the individual producers. Fair Trade wine, in other words, will be like other wine. Or at least that is my guess. And that’s too bad, because the advocates of Fair Trade products would love it if “Fair Trade” became a brand that consumers associated with quality (and perhaps it will be). But being Fair Trade won’t be enough. This wine, like others, will have to earn a place on the table. Note: Thanks to Martin Cubertafond at Sciences-Po in Paris for insightful correspondence on this topic. My first taste of Fair Trade Wine was very satisfying, as I explained in this space a few weeks ago. The New Direction Malbec that Sam’s Club has been selling for about $10 makes a strong first impression (it was named the world’s best Fair Trade red wine in a British competition) and makes me optimistic about this class of “ethical consumption” goods. Leigh Barrick, a student in the wine and society class I taught last semester, wrote a paper arguing that Fair Trade wine may be an especially good candidate for success because many wine consumers are actually interested in the details of production and not just the final product. If you don’t know or don’t care about who made what’s in your glass and how then ethical issues such as how much small growers are paid or how the environment is affected are difficult to motivate. Wine is one of the few products we buy where we can frequently find the answers to who/what/when/where/how and why right on the label or on the promotional “shelf-talker.” Wine is good, I tell my friends, but wine and a story is much better and a Fair Trade or sustainability story makes the wine experience more satisfying for many people. But Fair Trade is not a panacea. Leigh argued, based upon her prior research into Fair Trade coffee programs, that there are many hurdles in the path of Fair Trade wine’s success. One issue that I have been thinking about recently is the role that grower cooperatives play in Fair Trade programs. Cooperatives have a generally poor reputation in the wine industry. When I think of cooperatives the first thing that comes to my mind are those famously bad wines from poorly run cooperatives in the South of France. You know the ones I’m talking about, the cooperatives where growers are paid by the ton pretty much regardless of the quality of the grapes they bring in. The resulting wines are often thin, acid and tannic. These cooperatives are a classic example of the Prisoners’ Dilemma, where collective interest and individual interests are at cross purposes. The collective interest of the cooperative members is of course to produce good quality wine at a competitive price so that their “brand” (which may be just the village or region AOC classification) has some value and they can earn a decent living. If the vineyards were owned and run by a single owner, with a specific interest in the brand, chances are that yields would be lower and quality would be the focus. But, given that they are paid by the ton, each individual winegrower has a strong incentive to maximize yield. Quality generally suffers. Any individual grower who sacrificed quantity for quality would get lower income without significantly affecting the quality of the wine, since all the grapes dumped in the same press in a worse-case-scenario cooperative. As each grower responds logically to individual incentives, wine quality falls and the collective interest suffers. Europe’s lake of unsellable plonk is often blamed on the poor wines that this fouled-up incentive structure spews out. This image of wine cooperatives is enough to make you lose hope for Fair Trade wines, since they are typically made using arrangements centered on grower cooperatives (which act to distribute the higher payments and coordinate the communal investments that are the whole point of Fair Trade programs). If you need grower cooperatives to make Fair Trade wine work, and if cooperatives make lousy wine because of their incentive structures, then the future of Fair Trade wine looks pretty grim. The story gets worse when you look at French wine history. French wine cooperatives were created to be Fair Trade organizations (although no one thought to call them that). As France industrialized and urbanized a hundred years ago, wine market power shifted from the growers, who owned the vineyards, to the distributors and negoçiants, who controlled access to the big markets. Negoçiants had what economists call monopsony power. A monopolist is the only seller of a product and so can drive price up. A monopsonist is the only buyer and so can push price down. If the big negoçiant wouldn’t buy your just-picked grapes you were sunk, so growers were coerced (or felt coerced) into selling their grapes or wine for rock bottom prices. The negoçiants held the power because they could always buy grapes from your neighbor or the growers in the next village, but you had few options. Putting all your grapes back in the cart and shopping around for higher prices from another buyer in another town was not a very attractive alternative to taking whatever the negoçiant was willing to pay. Grower cooperatives were created to give growers protection from this cut-throat competition and to allow them to capture a larger share of the value of their production by banding together to negotiate a fairer collective price. This sounds a lot like the motivation behind today’s Fair Trade groups. And it worked, too, according to the evidence I’ve seen, at least for a while. But then the Prisoners’ Dilemma problem appeared and quality went down the drain. Or at least that’s how the story is usually told. Will today’s Fair Trade cooperatives suffer the same fate as their antecedents in the South of France and elsewhere in Europe? Perhaps. But there is reason to think the Fair Trade wine story might have a happier ending. Watch for my next post on this topic.